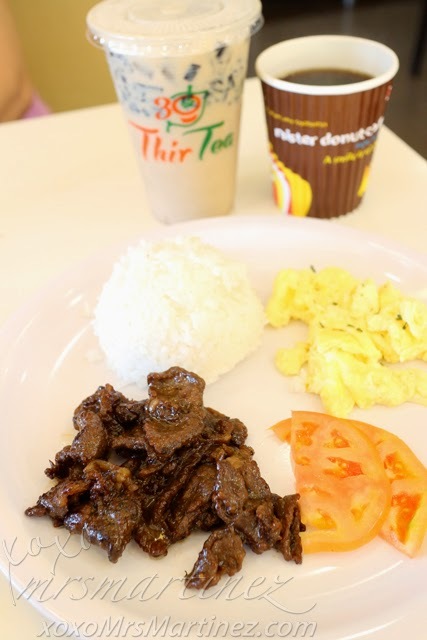 Last Sunday, my daughter woke up early so we were able to go out and had breakfast at Mister Donut Cafe in Greenhills Shopping Center. 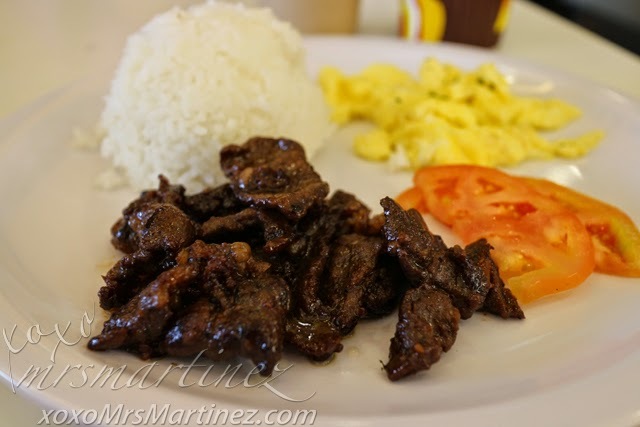 I ordered Beef Tapa. The beef was tender and tasted good. Aside from tapa, there's a cupful of rice, slices of tomatoes and egg on my plate. 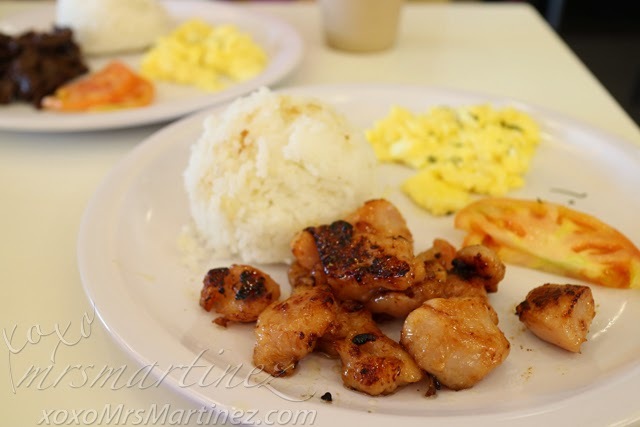 The Chicken Tocino tasted okay but I would still order Beef Tapa when I go back. There's an on-going promo of PhP 99 for All-Day Breakfast from 11am-2pm with one drink of choice. I am glad that we were there a bit early. By the time we were about to leave the place, the place was already teeming with hungry diners. Mister Donut Cafe is located at the Ground Level, Greenlanes Arcade, Greenhills Shopping Center.